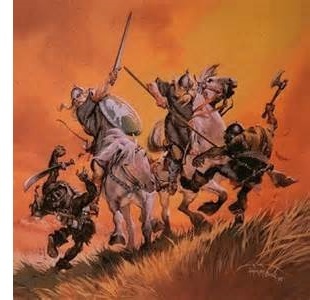 Alliance with Rhovanion - In the middle of the 13th century of the Third Age, Vidugavia became the most powerful prince of the northmen and took the title "King of Rhovanion". He cemented an alliance with Gondor to protect its northern border. From the descendants of Rhovanion would come the Rohirrim.